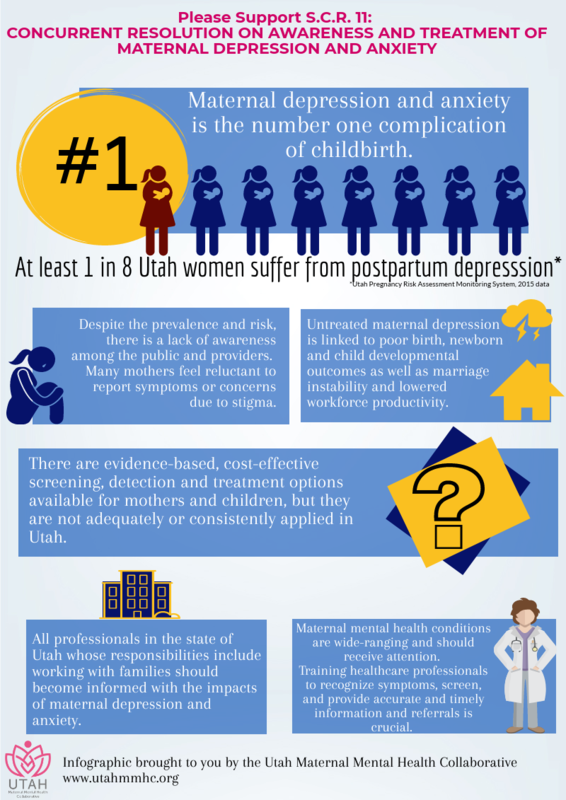 Maternal depression and anxiety is the number one complication of childbirth, but we can increase awareness and help Utahns. One of our 2018 Health and Safety for Women and Girls Policy Priorities is to improve resources for maternal mental health. We collaborate with statewide partners to improve the health of mothers, children, and families. Update: SCR 11 passed both legislative chambers in 2018 and is being enrolled. Utah has the highest birthrate in the nation with approximately 51,000 births per year. Utilizing the national prevalence estimates, this means that 7,140 childbearing women in Utah—and their babies and families—are negatively impacted by maternal mental health challenges each year. Read the Utah Maternal Mental Health White Paper published in 2017. This report was authored by the Policy Team of the Utah Maternal Mental Health Collaborative (UMMHC), Utah’s state chapter of Postpartum Support International (PSI). 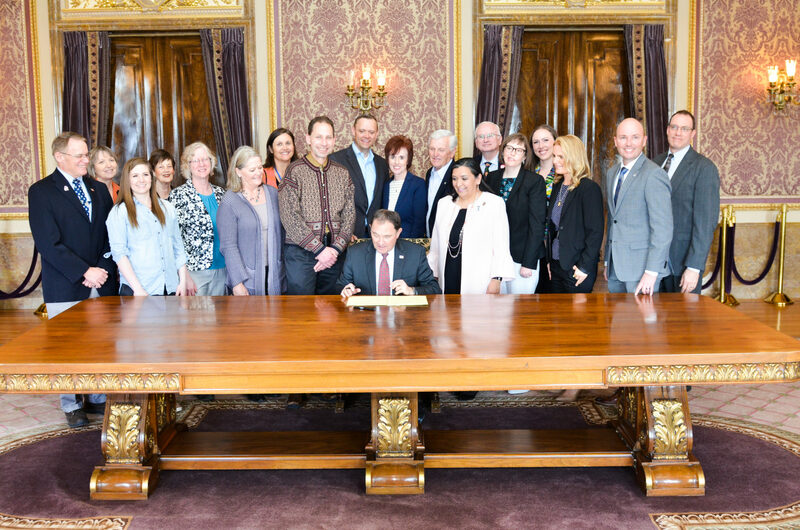 The UMMHC/PSI-Utah mission is to exchange ideas and form relationships to increase and improve awareness, prevention, detection, and treatment of maternal mental health conditions in Utah. Major contributors: Erin Jemison, YWCA Utah; Jessie Mandle, Voices for Utah Children; Laurie Baksh and Lynne Nilson, Utah Department of Health; Dr. Bill Cosgrove; Gwen Latendresse, University of Utah; Amy-Rose White, UMMHC; Tawna Burton, Soul Solutions.